Hey guys it’s Marcus here from simplesitesbigprofits.com! 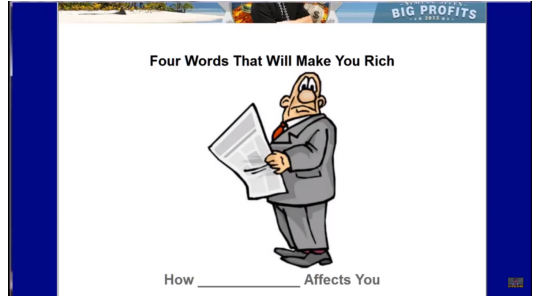 Today what I’d like to do is talk to you about the four little words that will make you rich. This is a tactic that I’ve used for quite some time now but it really became real to me this week when the government had their shut down. The United States government shut down because they can’t figure anything out and basically what’s going on is they have a shutdown and that’s in the news, you could see it everywhere. The government shutdown, you go to sites like White House or any government site the FTC’s even down, everything’s down. People are freaking out, they got the news and they’re like okay well what do we do about this shutdown what do we do, how does this affect us? That leads us to the four words that can make you absolutely rich! Those four words are basically a comfort or a guide to people that are freaking out! Like this dude is reading the news and he’s like how does this affect me? Those my friends are the four words that will make you rich. Very very very very important. 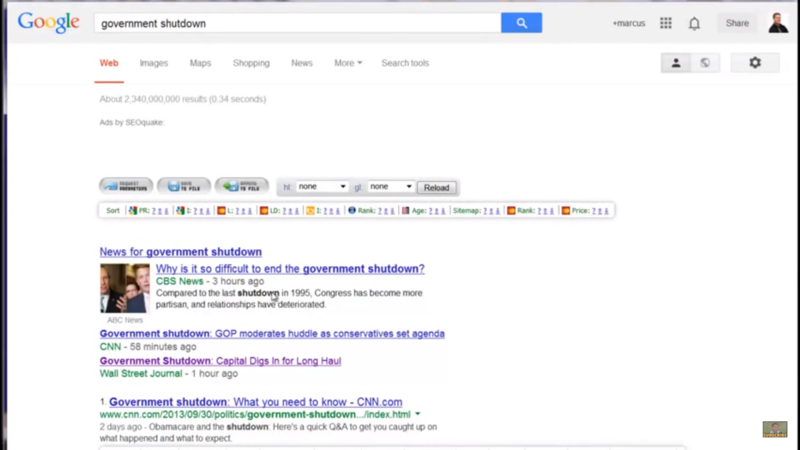 One, how does the government shutdown affect you? How do changes to Obamacare affect you? How do changes to mortgage rates affect you? How does it change to Fannie Mae and Freddie Mac affect you? How does something affect you? What’s happening you’ve seen it time and time again is the Internet is taking over the news. A lot of people are getting their news online a lot of people are looking for information online. That gives us little guys a chance to be in the big playing field by providing good information that people really really really want. So we take a look at this and we say how does whatever effect you. 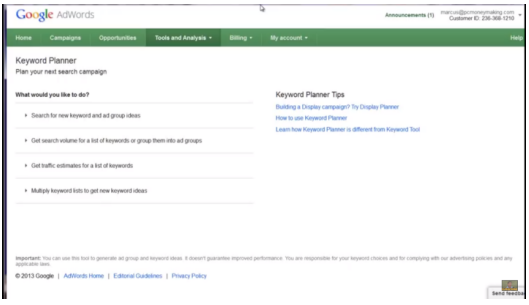 If we were to go to like the AdWords tool here and this is the new Google Keyword planner. I’ll put a link to this below and basically you just logged into a Google account which you can get a gmail address and that’ll allow you to use the Google planner. 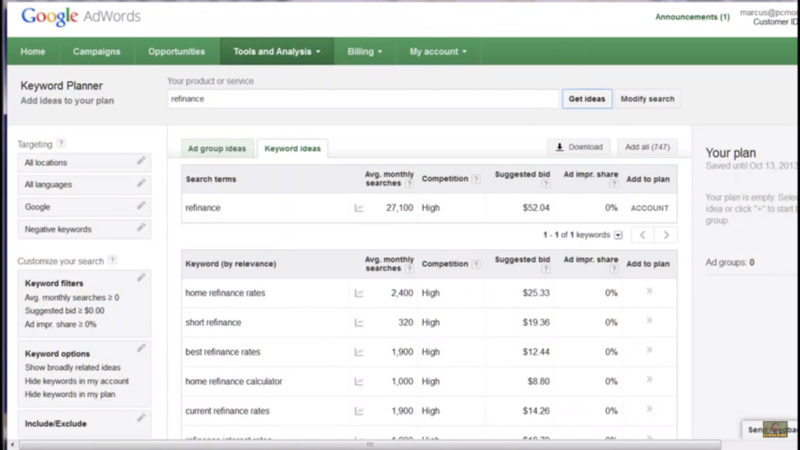 What we want to do is we want to search for a new keyword and ad group ideas. When we do this we want to keep in mind how_______ affects you, how does something affect you! When we do this, we have our content basically writing itself because now all you have to do is do research. So if you were to do research if you were to say you know what kind of content do I make about how does the government shutdown affect you. Well that’s actually pretty easy you say okay if your government worker here’s how it affects you. If you’re a regular civilian here’s how it affects you. If you’re in the military here’s how it affects you. What’s happening is you can now lead these people to very very very expensive traffic or expensive clicks that pay you big money based on giving them information. How does this affect you well you need to go get a new mortgage or you need to do this or you need to do that. 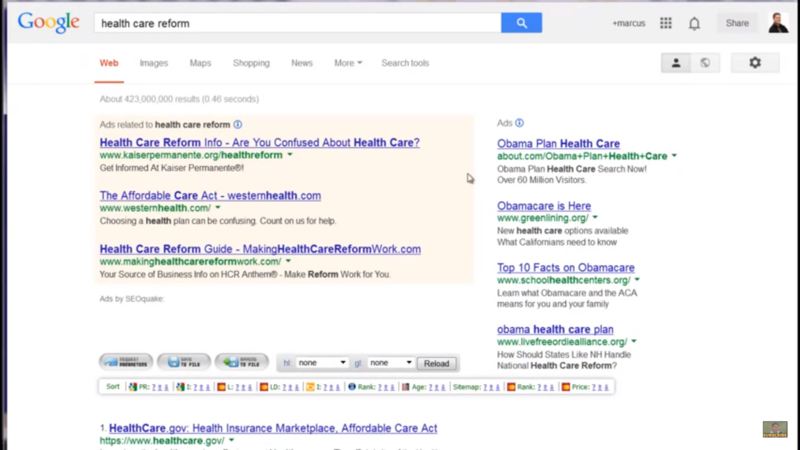 So if we were to go to Google and we say well let’s let’s look up Obamacare. So we’re going we’ll hit get ideas all right and we’re gonna say okay health care reform Obamacare all kinds of different things here. 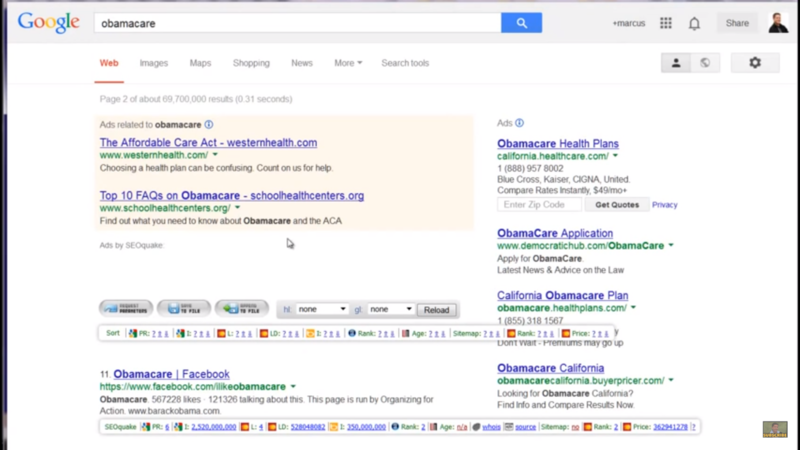 Obamacare is getting an average of 368, 000 monthly searches. That’s like insane right that’s a lot! That’s like more than 10,000 a day probably close to 12 to 15 000 a day. So we have that was okay how does Obamacare affect you. 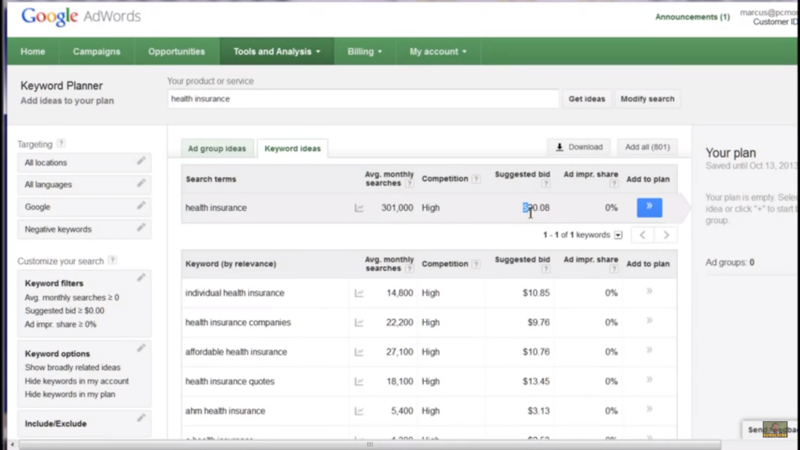 Now look at this, if we were gonna take and do Obamacare in Google we have ready for Obamacare facts personal health plans. What if you had a little ad here with these three guys which means this is non-competitive okay very non-competitive, totally non-competitive. A little bit more competitive on this page but not that bad right okay and we look at this so he says okay well what do we do with this? What if we had an ad that said how Obamacare affects you? Free report reveals ten ways that Obamacare affects the average American even if you already have a health plan. We take that, we say here’s our word and we use to how _________ effects you. What we want to do is we want to use this in a way that gets them to something that makes us a lot of money. So we see that Obamacare is not that expensive. It’s not that competitive. Let’s also take a look at healthcare reform. That’s a blanket bidder which means that this is very very non-competitive. How health care reform affects you. Let’s take a look at another one government shutdown. We’re headed how did government shutdown affects you right no one bidding on it. 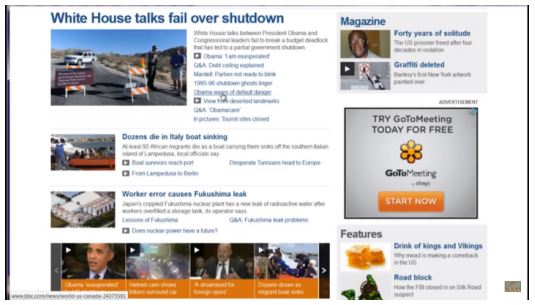 Now I want you to look at who’s on the top news, news very important. So we have this here government shutdown okay no one bidding on a one guy bidding who’s this guy something about Freedom Works and some other thing right so you could be here for like ten cents a click or less. Very easy to do! You could be up here in minutes. Bidding on the government shutdown saying how does the federal government shutdown affect you.You can say things like okay well let’s do some research and does it affect us with healthcare great okay if it affects us with healthcare now we say “health insurance”. Now watch what happens so we’re taking this click from 10 cents and now we are flipping it to a market that is worth $20 a click. So he’d say how does the health care reform affect you, well it’s really bad and you need to get health insurance right now! If you want to get health insurance right now go to my site healthinsuranceplansnow.com right and get information about health insurance plans. So now on healthinsuranceplans.com or whatever it is that you get you’re gonna be showing $20 ads or something close to it. So this is the key and this is how you do it right and you say how does __________ affect you. All you’re doing is providing a blog or a site that shows people how something is affecting them and you can literally go and look at the top news items of each day and you can start to get this stuff going. Another one is if you were to do a press release on how something affects you. You can get a press release out there submits it to like the whole planet right and you say how Obamacare affects you, how the government shutdown affects you right and you say government shutdown. Now it’s probably getting a lot more because it is in fact on Google Trends right if you go to Google Trends and just kind of make this like your homepage instead of whatever you have as your homepage and you’ll be able to see what’s going on right like this, okay we’ll go to hot searches. Let’s see what we have here. So we have Fox News is the first one for this, we’ve got sports something about a GT I don’t know what that is another Fox News Battlefield I think that’s some kind of game or something, NASA about the government shutdown, you have Blackhawks NHL cnn.com so a lot of people are looking at news, SunTrust you can do how the SunTrust settlement affects you of all the people with SunTrust mortgages are gonna be freaking out about that alright you say well you need to refine. So SunTrust flip into refinance, look at that $52 a click. Right so you say okay how SunTrust whatever affects you and you know that this is getting a lot of searches it’s got 50000 searches per day. Suntrust settles with Freddie Mac blah blah blah blah blah right and you say here’s how it affects you. They are looking for answers, they are looking for solutions and you say how _______ affects you? If you answer this question how ________ affects you, you will get insanely rich. How _____ affects you, how the current whatever affects you? The contents are written for you. You just find information about how it affects you. You can run webinars, you can run videos, you can give information whatever you want to do, you can take and say how does this affect you teach them how it affects them and make lots of money. Again I’m Marcus from simplesitesbigprofits.com! ask me to help you guys! It comes with 90 days personal support. I’ll help you with this. I’ll show you how to get press releases out there. Thanks again for watching! 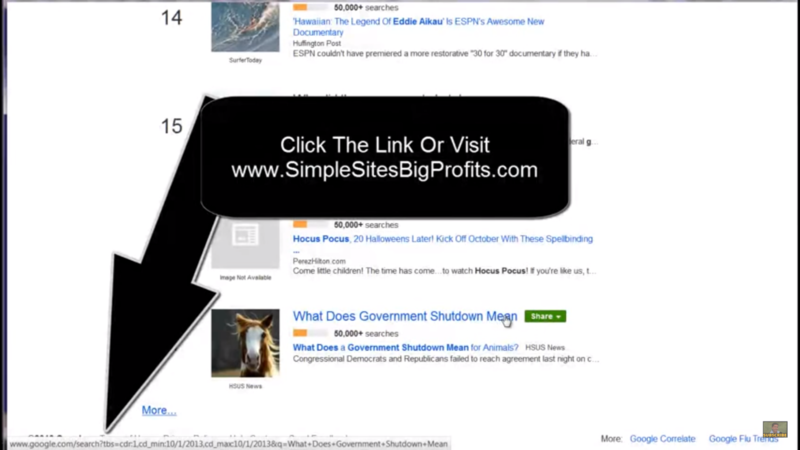 Go by simplesitesbigprofits.com and let’s make money online together.